(Press Unit in the Office of the Prime Minister) – St. Kitts and Nevis will be the hub of activity this week, as Caribbean leaders are expected to descend on the twin island federation for a series of high-level regional meetings. 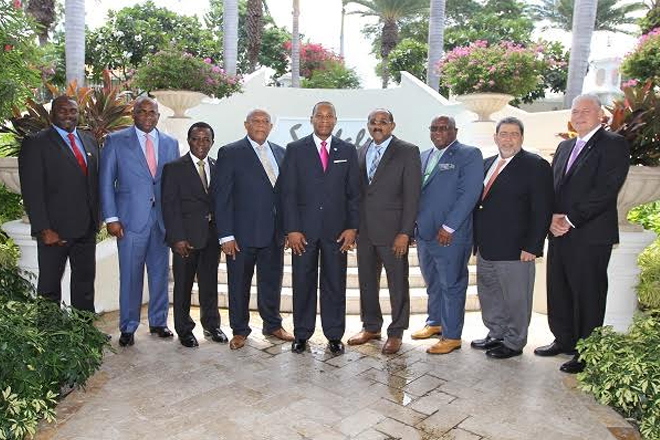 Taking place this week in St. Kitts and Nevis are the Eastern Caribbean Central Bank’s (ECCB) Growth Forum with Social Partners, meeting of the ECCB Monetary Council and the 64th Meeting of the OECS Authority. St. Kitts and Nevis’ Prime Minister, Dr. the Honourable Timothy Harris, will lead the local delegations to all three events. The events kick off on Wednesday, March 1, with the ECCB Growth Forum with Social Partners that will seek to address the challenges and opportunities for more inclusive growth in the Eastern Caribbean Currency Union (ECCU). The dialogue will feature 10-minute presentations from representatives of social and developmentpartners from throughout the region including the OECS Business Council, the St. Lucia Trade Union Federation, the Inter Agency Group of Development Organisations, the St. Kitts Christian Council and the Caribbean Development Bank. The event, which will take place at the Sir Cecil Jacobs Auditorium at the ECCB Headquarters, will be chaired by Prime Minister of Antigua and Barbuda, the Honourable Gaston Browne. On Thursday, March 2, the Monetary Council of the ECCB, the institution’s highest decision making body, will convene at ECCB Headquarters for the 87th meeting. During the meeting, the Council will receive reports on monetary and credit conditions in the ECCU from the Governor of the ECCB. The Monetary Council is currently chaired by Antigua and Barbuda’s Prime Minister, the Honourable Gaston Browne. Then on Friday, March 3, regional leaders will again gather for the 64th Meeting of the Organisation of Eastern Caribbean States (OECS) Authority at the St. Kitts Marriott Resort. The OECS Authority is chaired by Prime Minister Harris. President of the Executive Council of Martinique, Mr. Alfred Marie-Jeanne is also expected to attend the one-day meeting. Among the issues to be looked at during Friday’s meeting is the application of French Saint-Martin as an Associate Member of the OECS. The leaders are also expected to address matters relating to healthcare, agriculture, climate change and security within the sub-region. Another important topic that will be up for discussion is the strategic options for joint diplomatic representation at the OECS level.